I've heard many great reviews about the all-over print tote bags from Zazzle, and now that I've gotten my hands on one, I can say the reviews are all true! 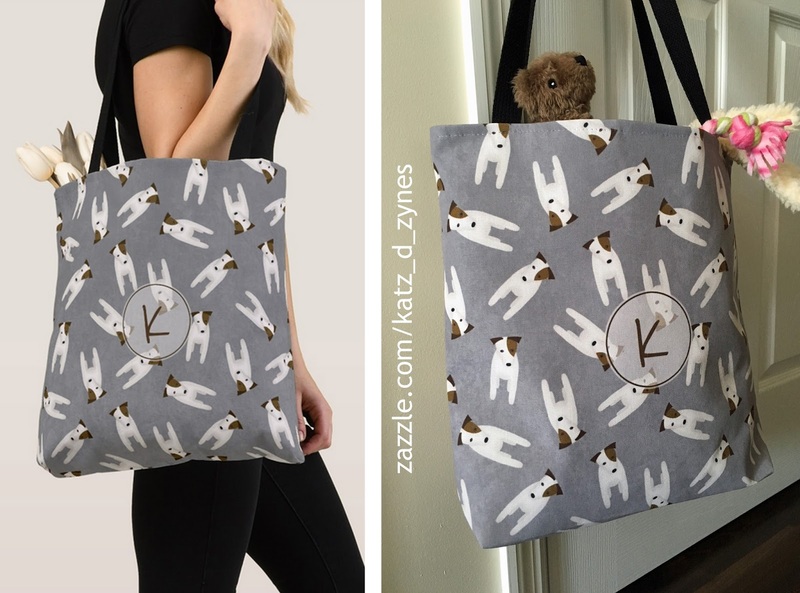 Here's a side-by-side comparison for you--the image on the left is from Zazzle's product page, and the image on the right is the actual bag. 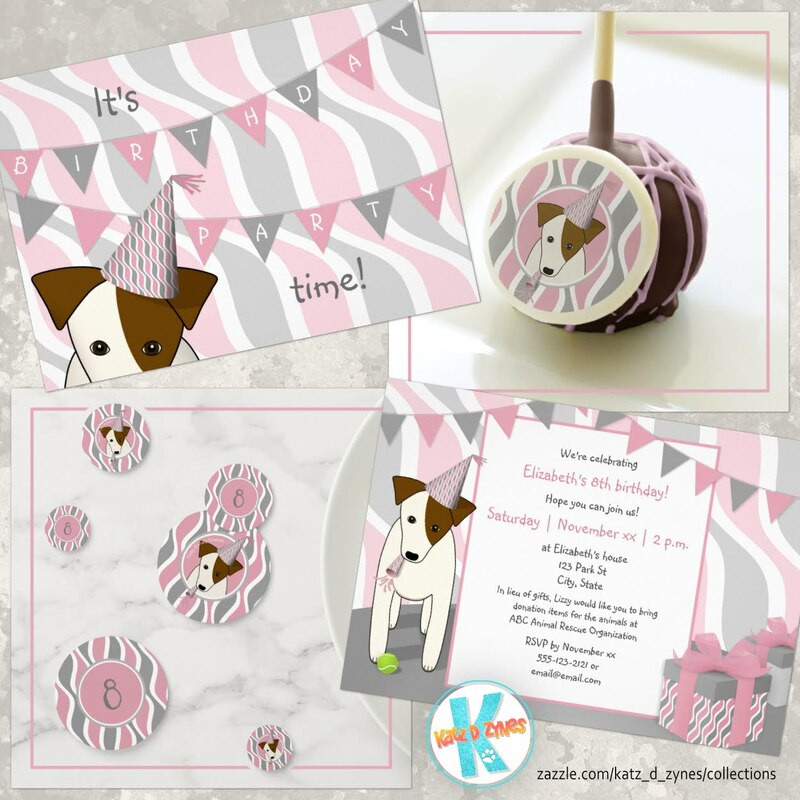 The colors and pattern details are just as I designed. I'm quite pleased with my JRT mom tote bag! The dog in the pattern on this particular bag represents an illustrated portrayal of my own adopted Jack Russell dog, but you'll find other Jack Russell dog patterns in my Gifts for Jack Russell Terrier lovers collection on Zazzle, including additional monogrammed tote bags, blankets and other goods with my newest pattern of eight different "Jacks" with varied brown and black head and body markings, perfect for JRT moms!